Tiny was one of the higher cat rescues I have done. 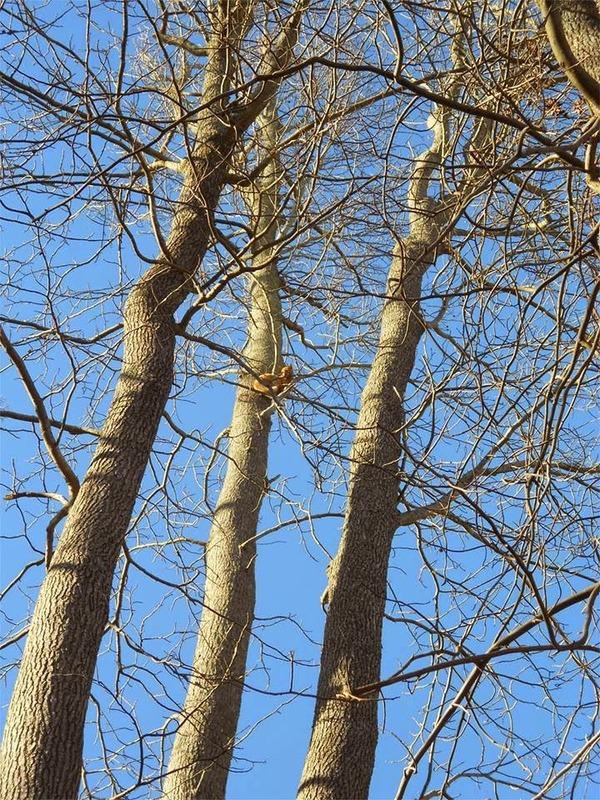 She was stuck on a limb at about 50 feet high and the next higher limb strong enough to hold my weight was at about 70 feet, which is nearing the high range of the sling shot I use to get my rope in the tree. It took a while to get a good setting but once I was aloft Tiny was so excited to see me that when I got close to her perch she climbed down in my lap and got herself stuck in the bridge of my harness. She wouldn't go forward or backward to let me get her into the rescue bag, so I descended with her in my lap. If only every rescuee could be like Tiny!